Either you are an enthusiastic traveler or you are traveling for the first time, trips can cost a lot and cannot be a rushed decision. The final amount may vary according to your destinations but your expenses are considerable and should not be ignored. 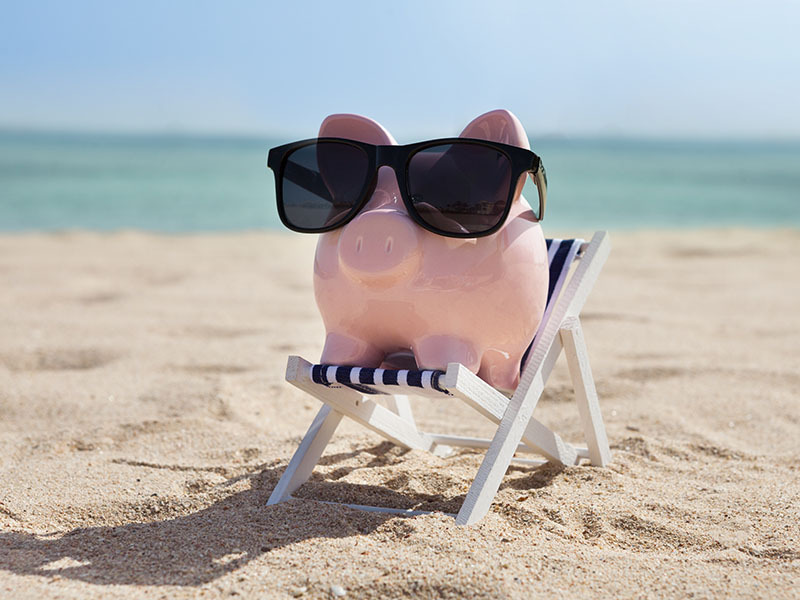 Here are a few tips which can help you save money for travel and fully enjoy your holiday. If traveling is a project in your near future, you need to master your personal finances. This first tip will give you a full picture of your expenses. It illustrates where you can cut back or eliminate some of your spendings. You have to look at each of your accounts and write down all of your spendings. This includes groceries, restaurants, and entertainment such as music, sports tickets, movies, books, etc. Moreover, this tracking is not limited to your daily expenses. You will also need to check your monthly bills like your rent, mortgage, utilities, car payment, insurance, credit card, interest, loans, cell phone service and even gym membership. Finances and savings are not everyone’s cup of tea. It gets easier if you approach them with the right attitude. Stay positive and stay focus. Do not forget that, in the end, you will be able to travel! This must be the most dreaded advice. Many people do not know how to do a budget or even where to begin. In fact, it is really simple. You will need to do two budgets: one for your trip and one for your daily life. This will give you a realistic idea of your situation. You can efficiently see if you will be able to achieve your goals and if not, you can always correct your budget or change your habits. The budget for your trip will take into consideration many factors. Your travel financial value will depend on your destinations. However, for a long-term travel budget, you should plan to spend at least approximately $1,500 per month. For a trip of a duration of six months, you will need to save $9,000 and for a year, $18,000. Once again, these numbers are relative terms. First of all, you should create a running budget and assign strict numbers to your recurring expenses. It is essential that you respect it. Some of your expenses are fixed for instance your rent. Others are flexible like groceries or entertainment. However, you can calculate the average for each kind of expenses. Then, you will have a good idea of your spending in these categories. Here is a good tip. If you go shopping, decide beforehand the amount you can afford and stick to it. Plus, you can use your phone to calculate everything as you walk in the aisles. The budget for your daily life is really similar, and you have to know all the good tricks to make this necessary exercise easier and faster for you. This diary will help you cut your spending in order to save enough money for your trip. In a notebook or on your computer, draw two rows. At the top of the first one write Needs and at the second one, Wants. Place every expense into one of these columns. This is the moment of truth. You need to ask yourself some tough questions such as: Do I need these jeans? Can I avoid buying lunch every day? Do I really need to go out every weekend? Now, you can easily see and understand what is your unnecessary spending. Then, you will know what to cut or eliminate. Once you have entered all of your spendings, calculate how much the Wants items cost. This amount corresponds to the savings you can start making right now. There are many ways you can save daily. It all starts with some simple changes in your routine. In this way, you will be able to save in few months. If you are doing short distances, take public transportations or a bike rather than taking the car. You will significantly save on gasoline. Another way to save is to practice car sharing with colleagues or friends. The fuel will be cheaper because you will split the bills between few people. You can also prioritize walks when possible. More than just the cheapest solution, walking keeps you healthy and is a good stress reliever. Additionally, you can reduce your entertainment and activities expenditures. The average TV subscribers pay around $70 monthly. You will then save up to $840 per year which is similar to a flight ticket! It can also be a good idea to cancel your gym membership if you have one. Canada has some of the most beautiful outdoors. Run in the fresh air! It is also possible to save on food and beverages. You can cook for yourself instead of buying lunch every day. This small action will save you $6 to $11 per meal which means, every week, you will keep between $126 and $231 in your own pockets. It can be hard for some people to just stop ordering coffee. Coffeeshops represent for many a place to study, work and even socialize, but you can save a lot only by starting to buy less expensive coffees. Open a new account with your bank and transfer money at a regular frequency. It can be weekly or monthly. Decide on a certain percentage of your paycheck which will end in your new account. It can be as little as 5%. This is a great idea, because you will see your savings concretely and where you are in your progress to achieve your financial goal. It is also a good motivation to save more. Transform your transfers inhabits, and it will become natural. Thus, there are great ways to save money for your travel. You just need some discipline, and before you realize it, you will be in the plane. Do not forget that flight tickets and hotel reservations play a big part in your savings. There are many websites like Kayak which compare prices between flights, hotels and rentals. Now you know that it is possible to visit your dream destination and make great memories even though your finances are limited!